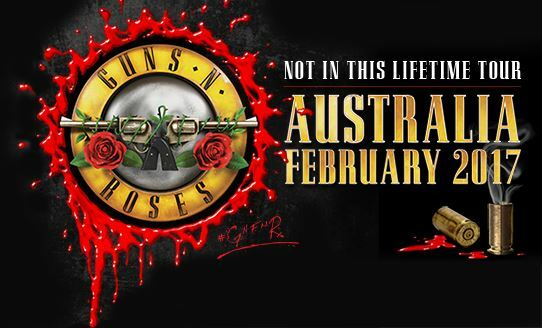 GUNS N' ROSES will bring its "Not In This Lifetime" tour to Australia in February 2017. This will be the first time Axl Rose, Slash and Duff McKagan have been on the road in Australia together since 1993's "Use Your Illusion" trek. GUNS N' ROSES Nightrain pre-sale will begin on Friday, August 19. Telstra Thanks pre-sale just for Telstra customers starts Tuesday, August 23. More details at this location. Ticket and VIP packages for the "Not In This Lifetime" Australian tour will go on sale to the general public on Friday, August 26. For more information, visit GunsNRoses.com. As previously reported, the production manager for the current GUNS N' ROSES tour shed some light on the trek's future and inner workings in an interview with local Atlanta TV station WXIA. Speaking one day before the group's July 27 concert there, Dale "Opie" Skjerseth said that the "Not In This Lifetime" tour has "no end date," and that shows are already booked "far into next year." 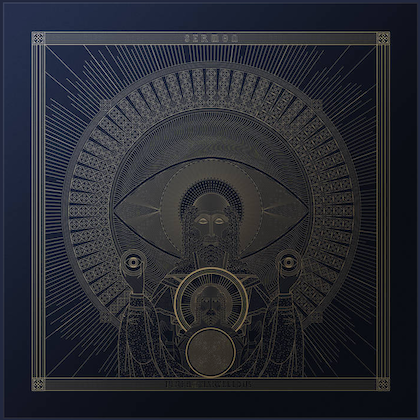 Skjerseth said that all members of the band are "getting along just fine" and shot down speculation that they have separate dressing rooms due to tension within the ranks, Skjerseth said, "Just because everybody's older, they carry their families with them. They all have to have their space. Everybody meets before we go on stage. It's a meeting point and that's where the chemistry happens." 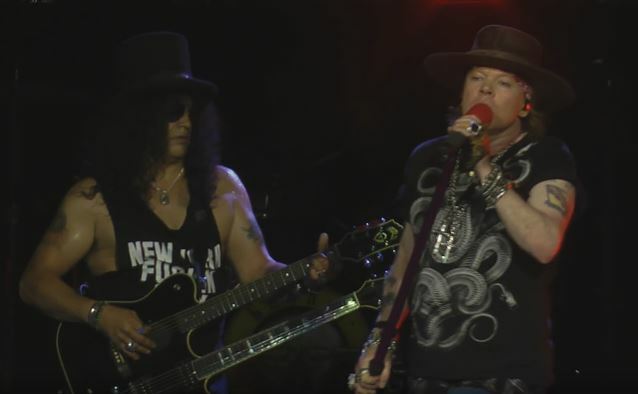 The tour features classic lineup members Axl Rose, Slash and Duff McKagan on stage together for the first time in more than 20 years. Asked if it was money or music that brought the core members back together, Skjerseth said: "I believe it starts with the love of the band. And then of course we all want money." Regarding the future of the tour, Skjerseth said, "I've been told there's no end date, and I've seen plenty of dates going into next year, far into next year. Everybody's working together to keep a common goal and common direction: keep the machine going." Skjerseth also discussed how Axl Rose is managing to get onstage on time, as opposed to previous tours when he was notorious for starting shows sometimes hours behind schedule. Skjerseth said, "We're all older and want to get to bed now. It's his maturity and business and how it should be. Everybody feels good about it."